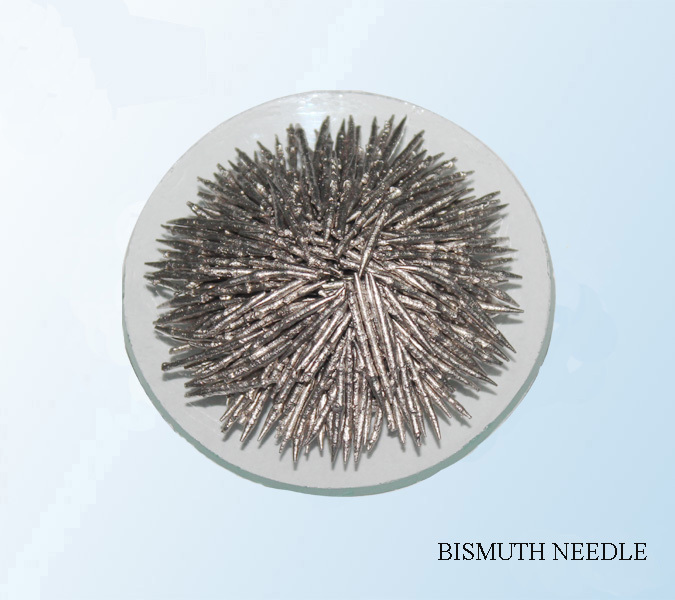 Bismuth Needle | Zhuzhou Keneng New Material Co., Ltd.
silvery white with rose gold, brittle needle. packed in bags of 20kg net each; custom-made forms are also available upon request. mainly used in pharmaceutical industry, semiconductor, superconductor, flame retardant, pigment, cosmetics, chemical reagent and electric ceramic industry etc.